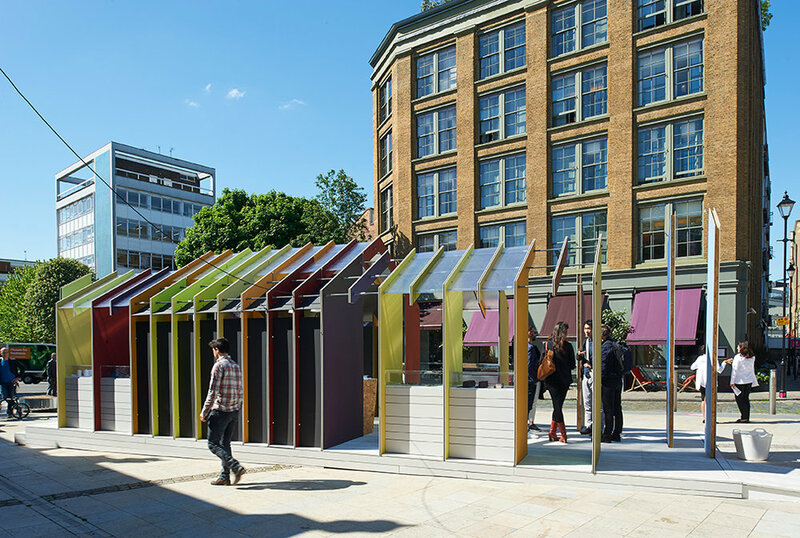 In collaboration with White Arkitekter, Nicholasalexander's team created The Museum of Making, one of the site-specific pavilions for the 2016 Clerkenwell Design Week in London. 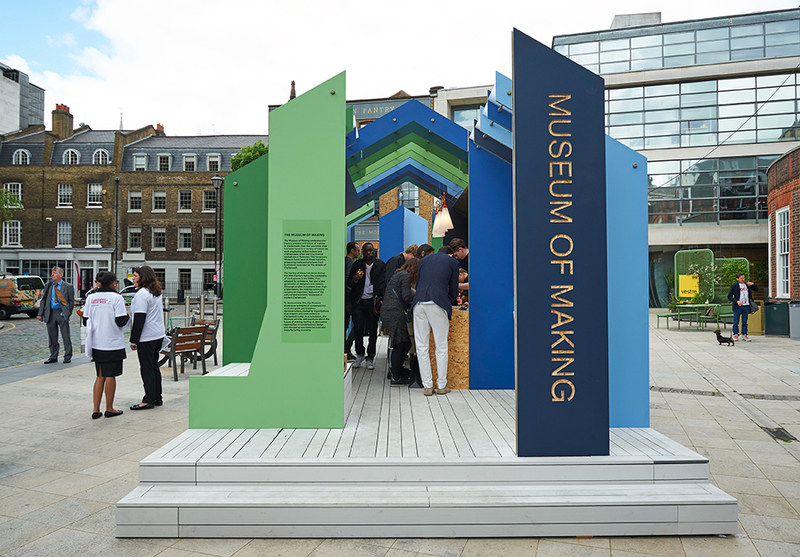 Located on St John’s Square and visible from Clerkenwell Road, The Museum of Making was at the centre of the festival, which celebrates the significance of Clerkenwell – home to more creative businesses and architects per square mile than anywhere else in the world – as a major design hub. 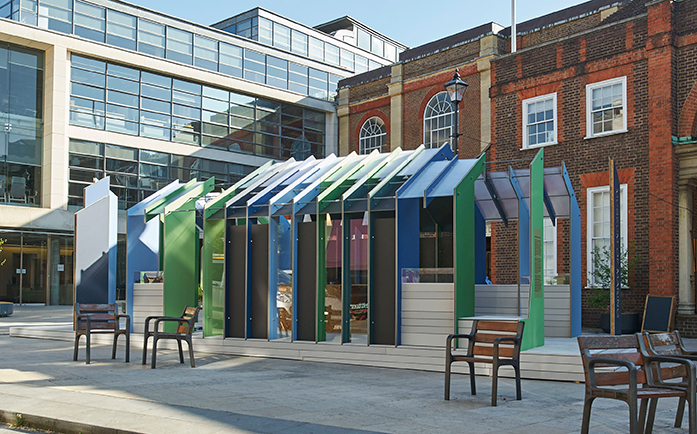 The Museum of Making was made out of Equitone cladding panels arranged in sections to create an open yet sheltered space to bring people together. 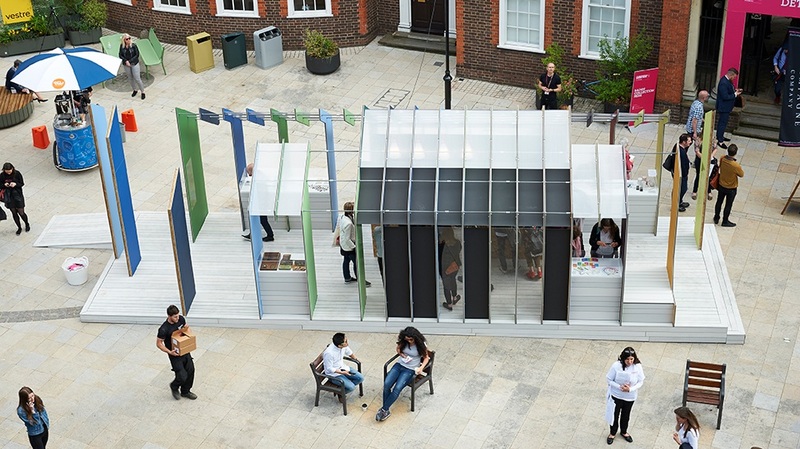 Drawing on Clerkenwell’s rich history of craft and industry, it was an active space showcasing the sensorial and social qualities of making. Workshops and demonstrations programmed by curator Pete Collard allowed local residents and festival visitors to meet, mend, and exchange knowledge and services.